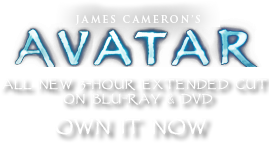 Large Musical Bow | Pandorapedia: The Official Guide to Pandora | Own AVATAR on Blu-ray & DVD Now! A resonating gourd is loosely but permanently affixed to the string of the bow. The gourd is movable, capable of being slid up and down the string; different positioning on the string creates different fundamental pitches and overtone series. This gourd is held on or near the body of the player, and is moved toward or away from the player to change the resonance. To play the bow, one slides the movable gourd while tapping different places on the string with the tailspike of a stingbat. A small basket rattle, which may be decorated with feathers of indigenous bird species, is attached to the tailspike for an additional percussive element. The repertoire of the tsawl pampers tomsk kilter is the only strictly instrumental tradition of the Na’vi. The function of these songs is as a prelude to Hometree songs. In this context, the foot of the bow is nestled into the root structure of the Hometree. Vibrations from the string resonate and reverberate throughout the Hometree and can be heard at a distance of over twenty miles. Function Instrumental music, preludes to Hometree songs. Na'vi Name Tsawl pampers tomsk kilter or “large music bow of the ground”. Size and Weight Roughly five meters, fourteen kilograms. Materials and Construction Large bow made from Hometree branch, gourd attached to bowstring, tailspike of stingbat, small rattle attached, used as plectrum. Notes Sound can be heard for over eight kilometers.